We provide garden design services and transform outdoor spaces throughout Wirral and the surrounding areas. Your Garden provides garden design and planting services for its clients. 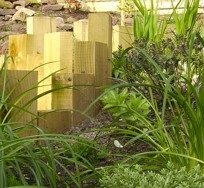 We also help to transform gardens with full garden makeovers, managing the project from start to finish. No matter how large or small the project, or how unusual the brief, we can help you transform your garden or outside space. Founded in 2006, our ambition is to help you realise the potential in your outside space - whatever its size, whatever your budget and whatever your specific needs. 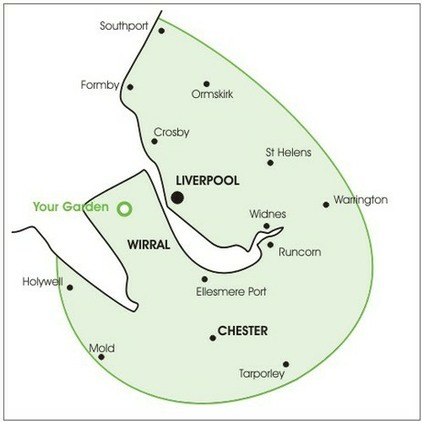 Based on the Wirral, Your Garden operates throughout Merseyside, Cheshire West and North Wales. We have previously undertaken projects ranging from school and sensory gardens in Liverpool, border planting in Chester to family gardens in Warrington and Knutsford. We believe that a good design is the key to getting the most out of any outdoor space and like to work with our clients to achieve the maximum possible impact. You can find out more about our approach here. Initial consultations are free in our main area of operations, which you can see here. 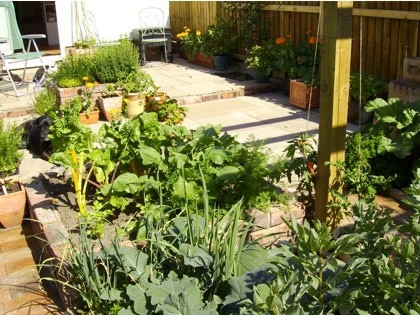 Your Garden provides garden design, planting and garden makeovers throughout the area identified on the map, including Ainsdale, Birkenhead, Buckley, Chester, Crosby, Ellesmere Port, Flint, Formby, Heswall, Holywell, Hoylake, Liverpool, Mold, Neston, Ormskirk, Prenton, Runcorn, Southport, St Helens, Tarporley, Wallasey, Warrington, West Kirby, Widnes and any of the surrounding areas. If you live close to our main area of operation and think we may be the right people to help you with your garden design or planting solution we may still be able to help, so please contact us.